After publication of this work , we discovered that due to an inadvertent mistake, Figures 4 and 5 in the original article were essentially the same figure. Amendment to Figure 5 (Figure 1 here) has now been added. We offer our sincerest apologies for this oversight. 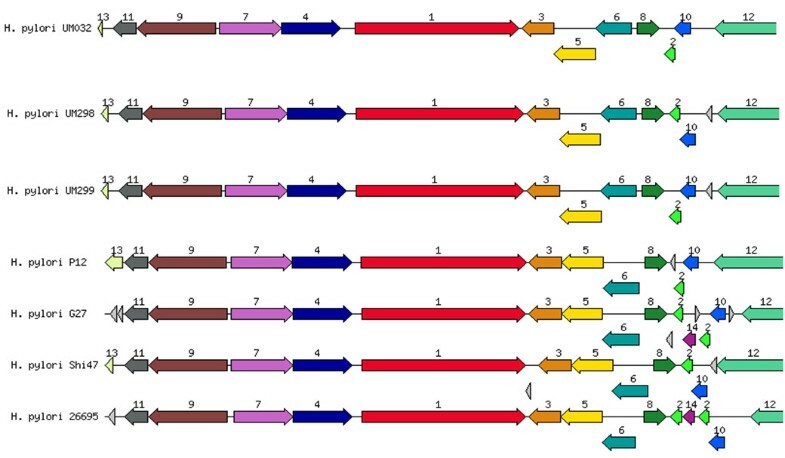 Genetic relatedness of vac A cluster with closely related bacteria. 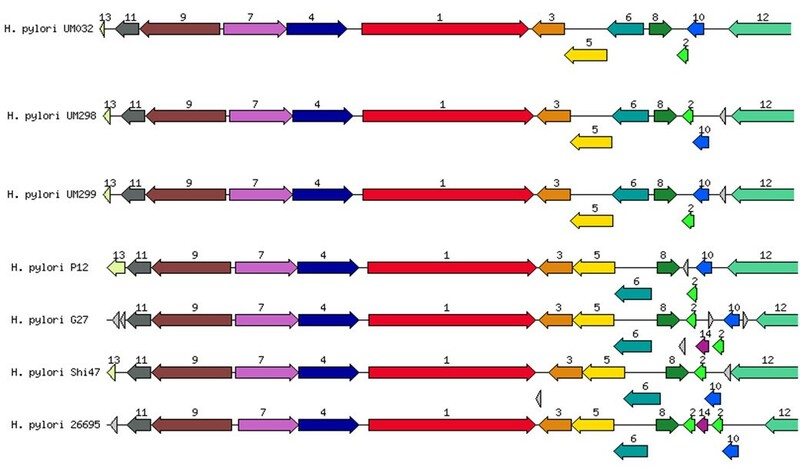 1: vacuolating cytotoxin, 2: hypothetical protein, 3: haemin uptake system ATP-binding protein, 4: cysteinyl-Trna-SYNTHETASE, 5: IRON III, 6: dehydrogenases with different specificities, 7: proposted peptidoglycan lipid, 8: hypothetical protein, 9: hypothetical protein, 10: DNA damage inducible protein J, 11: holliday junction DNA helicase RUUA, 12: putative outer membrane protein, 13: hypothetical protein.